The Dietrich Project. Art. Science. History. Re:tracing Dietrich is a project in which I conducted artistic and scientific fieldwork in Central and Northern Queensland. In February 2016 I retraced parts of the journey of Amalie Dietrich, a German Naturalist working in Queensland from 1863-1871. With the assistance of a Griffith University Honours College Summer Research Bursary I travelled for two weeks in a campervan I had turned into both a mobile laboratory and studio on wheels. 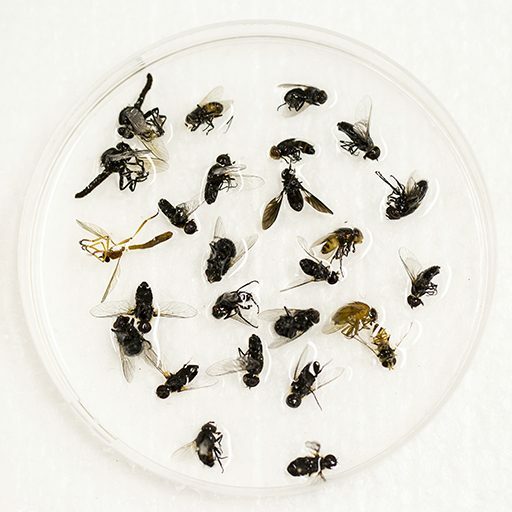 I wanted to know: would it be possible for an amateur naturalist like myself to retrace parts of Dietrich’s journeys and discover new species of insects? What could a dual goal of scientific discovery and artistic speculative research yield as outcomes? Re:collection Dietrich is a series of works in which I am responding to objects and specimens collected by Dietrich in Queensland, Australia, that now reside in European museums. 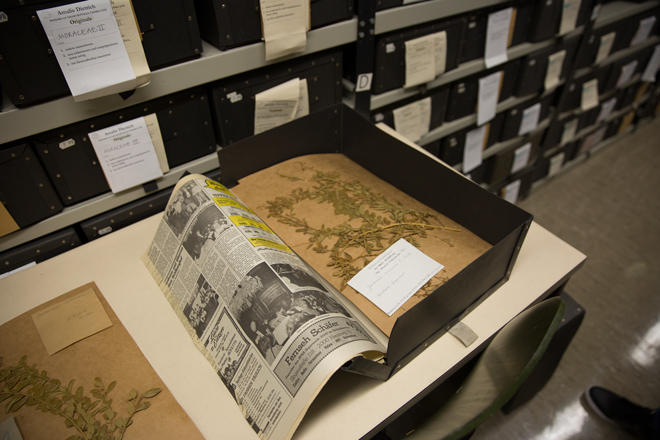 In both January 2016, and then again in June and July, I was able to visit institutions in Germany including the Herbarium Hamburgense, Centrum für Naturkunde Hamburg (CeNak), the Museum für Völkerkunde Hamburg, the GRASSI Museum für Völkerkunde Leipzig and the Naturkunde-Museum Bamberg. The purpose of these visits was to research and obtain copies of primary historical records, including documents, photographs and digitised specimen images, relating to Dietrich’s biography and scientific work. 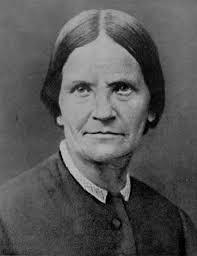 Amalie Dietrich was a German naturalist who worked in Queensland from 1863-1872. She was an outsider and a paradox: a 42-year old single mother in a male dominated profession; a German speaker in an English colony; a poor working class uneducated woman working in learned scientific circles; a Hinterwälder (bushie) living in the wilderness of South-east and North Queensland. The scale of her collecting work makes her one of Australia’s most important scientists, but Dietrich’s natural history legacy is mostly unknown outside of specialised biology and ethnography circles here. Conversely, she has been very famous in Germany since the beginning of the 20th Century. Her achievements were unparalleled in their time for a woman travelling and living alone in the Australian bush. However a dark cloud surrounds her life story. Dietrich was responsible for the shipment of the remains of thirteen indigenous ancestors to Germany, certainly obtained under questionable ethical and moral means by contemporary standards. In her comprehensive book on Amalie Dietrich, historian Dr Ray Sumner, argues that there are two Amalie Dietrich’s: the virtually unknown renegade who dedicated her life to science, and the fictional heroine, famous in Germany still today. Fictional Dietrich was created in a biography written by her daughter Charitas Bischoff in 1909: a clever amalgam of fact, fiction and plagiarism that created Dietrich’s fame in Germany. In Australia, Dietrich is still virtually unknown except for a brief highly publicised time in the 1990s when she was sensationally named and shamed by journalist David Monaghan’s article “The Body-snatcher” which appeared in the Bulletin 12 November 1991. Since 1991, Monaghan’s version of the Dietrich’s story, has been retold by Australians as diverse as prominent Indigenous artist and academic Dr Fiona Foley, to Christian Creationists who argue that Charles Darwin was a racist in order to discredit his theories of evolution. Early in the 20th century Dietrich’s legend and fame in Germany had been used to sell the ideology of Nazi Germany in the 1930s and the virtues of Communism in the 1970s. Although she is less known in German today, a youthful sexualised image of Dietrich is still used to market a popular brand of herb-flavoured liquor. She has been unwittingly co-opted into selling both product and ideologies alike. Few fragments of text written by Dietrich’s hand still exist. Her field notes were destroyed by fire and some of her correspondance thought destroyed by her daughter. Dietrich’s life story will always remain contested: it is impossible to retrace what is lost; the stains on her legacy have stuck as they can be neither proven nor disproven beyond a doubt. Nonetheless her life is a rich lens by which we can examine the history of science and recognise the troubled legacies of western scientific collecting in Australia. It is though the contribution of her collecting activities that one certain truth of Dietrich’s biography shines through: her life was characteristed by an uncommon and obsessive commitment to science for a woman of her time. She did not let her class, her lack of education or her status as a single mother stop her from pursuing her passion for the natural world and the study of it.